"Tax Wizard, CFO Watchdog, Financial Fixer"
Harvey is an IRS and State Tax Problem Resolution Expert and has established a reputation as a nationally recognized Tax Wizard for hire. Using his exceptional negotiation skills and technical expertise, he will solve your most stressful and complex tax problems. Click for a list of our tax services. Harvey is your CFO Guru who provides brilliant analysis to save time and money on operating all areas of your business and excels at providing exceptional business and financial strategies. Click for a list of our Chief Financial Officer (CFO) services. We provide a full suite of trust & estate planning services including: wills, trusts, creditor/asset protection, titling, using the LLC, family limited partnership (FLP) and limited liability limited partnership (LLLP), estate & gift tax returns, and Florida domicile implementation. Click for a list of our trust & estate planning services. Harvey I. Bezozi, CPA, CFP®, originally from New York and an honors graduate from the University of Maryland, started his career in Washington, DC working for Coopers & Lybrand (now PriceWaterhouse Coopers) and Peat Marwick (now KPMG), two of the largest and most prestigious accounting firms in the world. While at Coopers & Lybrand he worked in the financial auditing department on clients including Georgetown University, CBS Television, National Public Radio, the State of Maryland, Washington Hospital Center, and SWIFT (Society for Worldwide Interbank Financial Telecommunication). Mr. Bezozi also worked on the complex Divestiture of AT&T (when AT&T split up to form the long-distance company and the local Bell operating companies). He received high recognition for his work here, especially in the area of assisting senior financial executives and engineers at AT&T develop better efficiency in their departmental accounting procedures, controls, and budgeting. Deciding that he wanted to focus his career on becoming a tax expert, Mr. Bezozi then joined the tax department of Peat Marwick where he worked on the tax returns of many prominent political figures including a former U.S. Secretary of State, Secretary of Commerce, Presidential candidate, and Senator, savvy real estate developers and brilliant business moguls, and famous musicians, rock-stars, and athletes. After leaving Peat Marwick, he joined forces with a retired veteran IRS agent and devoted his time to learning how to help individuals and businesses with federal and/or state tax problems. Mr. Bezozi has become one of the best in the country at resolving client tax problems. He has a knack for preparing extremely detailed and accurate paperwork and has been told so by several very experienced IRS employees that the documentation he submits is “the best they’ve seen yet.” He also comes up with settlement plans that are very favorable to clients and are also very realistic to qualify for and stay in compliance with. Mr. Bezozi considers the work he does is an “art” not a “science.” He has the many years of experience, and accordingly, the judgment required to solve the most complex types of cases that he is used to handling. 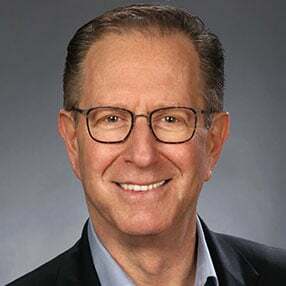 More recently, Mr. Bezozi has gotten back to his roots (working with clients of some of the largest and most prestigious accounting and law firms in the country) by becoming very involved in using his financial acumen both as a CFO Guru and Tax Wizard. Clients now continually hire him as their: (a) Concierge CPA / Outside CFO; (b) IRS & State Tax Resolution Expert; (c) Chief Business Strategist and Deal Structurer; (d) Special Counsel To Boards of Directors, Executive Committees, and CEOs; (e) Advisor To Businesses, Business Owners, Individuals, Families, Trusts and Estates, and Private Foundations; (f) Financial Strategist, Problem Solver, and Workout Specialist; (g) Forensic Tax Analyst and Expert Witness in Tax and Financial Planning Matters; (h) Director of Mergers, Acquisitions, and Reorganizations. Harvey has financial X-ray vision and sees things that others don't. See case studies above for his brilliant outcomes. Our clients love our work and you will too! I have been working with Harvey Bezozi for a number of years now. I have referred a number of clients to Harvey for help with their tax situations. I could not be more pleased with the results. The feedback I have received from my clients is all good. They have said: “Harvey did what he said he would do. Harvey was able to work within my means and resolve the situation with the IRS to my satisfaction.” In fact a couple of my clients decided to switch all their accounting needs to Harvey. That was totally unexpected. I recommend Harvey to all my clients. I trust Harvey with my clients. Anyone engaging Mr. Bezozi will find him to be truly exceptional in his knowledge, open, honest, direct and a real pleasure to work with. I am not normally one who writes reviews, however, after working with Harvey Bezozi I felt compelled to document how wonderful my experience has been. There are three letters that strike fear into the hearts of virtually anyone I know- IRS. When I was audited by the IRS I realized that my tax situation was extremely complex. I turned to Harvey for his expertise and confidence in resolving and handling my current and future taxes. His professional service, willingness to go above and beyond and prompt responses to our numerous requests has made me feel supported at times when I have needed it most. The best part about working with Harvey has been developing a relationship with someone who cares. He is just a great guy. Harvey is extremely knowledgeable, driven and professional man. I would confidently refer him to anyone. I have known Harvey Bezozi for 10 years. He is a trusted advisor and friend. His ability to work out a manageable solution for my tax debt, combined with his knowledge and counsel over the years, has saved me hundreds of thousands of dollars. Had it not been for his guidance my tax debt would have spiraled out of control and the IRS and States of New York and New Jersey would have aggressively come after me. He continues to advise me on ways to save, while ensuring I stay compliant with the arrangements he negotiated. I wish I could afford to retain more of his services because his knowledge about managing money is top notch. I can’t thank Harvey enough for what he did for me. I would recommend him to anyone that could benefit from someone with his vast knowledge about financial matters. My highest recommendation for Harvey Bezozi CPA – The Tax Wizard. Sometimes a person needs help. When I had no solutions to my perceived problems, I looked for professional help. This is what I did when I had tax and financial problems. I found Harvey Bezozi. If you want someone who is always there and on your side with any tax or financial problem, it is Harvey Bezozi. I have known Harvey for many years. He has helped me with all types of tax and legal recommendations. He has held my hand concerning the IRS numerous times. Calls and personal attention to me when I needed it the most. I owed alot of money to the IRS and through Harvey’s recommendations I was able to maneuver through their spider web of laws. As for myself, when it all began, it seemed that there was no light at the end of the tunnel. Harvey Bezozi slowly but surely made my path light up. I could have never done this without his help. Harvey led my fight through three years of divorce and through many years of hardship with the IRS. His help can never be forgotten. I recommend him most highly and without hesitation. In my line of work, I am frequently responsible for referring my clients to other professionals who demonstrate the highest level of integrity and competence. Mr. Bezozi, the financial wizard, is one of those professionals. My clients often find themselves in financial crisis with complicated tax problems requiring a comprehensive and masterful strategy for resolution. They are looking for a wise and reassuring professional who will guide them through their turbulence with confidence leading them to a favorable outcome. Mr. Bezozi has served my clients and met their challenges with dedication and great skill. He has consistently provided exceptional tax and financial advice. I can assure you that Mr. Bezozi, the financial wizard, will provide you with the highest quality of service leaving you with a sense of relief, respect and admiration for his brilliant performance on your behalf. For over 20 years I have had the great pleasure of working directly with Harvey Bezozi as his insurance broker. Harvey and I work closely together year round to maintain multiple policies for his various entities. During this time frame, I have had the opportunity to get to know a remarkable individual. Harvey is exceptionally responsible, hard working and meticulous in detail. Harvey has proven to be a client of the highest quality, always acting with integrity and is an extremely loyal individual. I have had the pleasure of working with Harvey Bezozi since 2011. Harvey has done a tremendous job to aid us in saving time and costs by streamlining and systematizing our accounting and payroll functions. When it comes to tax preparation and dealing with the IRS and State of Illinois, I have now come to expect nothing but the best and Harvey’s knowledgeable, reliable, prompt and courteous service has been a great fit for our business which is why I would enthusiastically and absolutely recommend him for your organization as well. I was having a big challenge with the IRS which no one was willing or able to help me with. Finally, Harvey was recommended to me by one of his peers in the financial industry. He immediately presented 2-3 possible solutions for my problem. Harvey now handles all my accounting needs and I am confident that this part of my business is in the best possible hands. Harvey is a great asset to any business owner. Very detailed and thorough. Harvey saved our lives by negotiating our IRS tax debt from approximately one million dollars to zero. Harvey was recommended by another CPA who tried to help me but could not. When I met Harvey he thoroughly analyzed my IRS case, assured me that although my case was very large and complex he could help me significantly and went to work immediately producing outstanding results. He saved me hundreds of thousands of dollars and kept me calm all along the way. I enthusiastically and wholeheartedly recommend this amazingly intelligent and reliable tax professional to anyone in tax trouble. Harvey first helped me by persistently pressing me for all receipts and other data to create the missing returns and re-file some where he felt the taxes could be reduced. Harvey consistently followed up until I finally gave him everything he needed to go to bat for me with the IRS and State of New Jersey. I have never dealt with such a thorough and meticulous tax advisor. Unlike any other firm or individual with whom I have worked in the past, Harvey took the time to get to know me, my business and my future plans. He became more than an accountant who forensically analyzed the past to help me to get out of tax trouble. He became my personal CFO, my go-to professional who counsels me to make proactive decisions to guide me and my businesses forward financially while avoiding the traps that I would have otherwise stepped into. More than a CPA, more even than a CFO, Harvey is a crackerjack advisor who makes the effort and takes the time to care. Since he knows my strengths, my weaknesses and my plans, he has become my personal life coach, a valuable business partner and confidant. I am proud to call him my friend and recommend him highly. Harvey Bezozi resolved my tax problem in approximately one month, something which three different accountants were unable to accomplish during the previous three year period. What was even more impressive was his ability develop a well-thought-out strategy followed by negotiating an outstanding outcome and I couldn’t be happier. The IRS agent I was dealing with was extremely intimidating and scary to me. Mr. Bezozi quickly established his credibility as a super-knowledgeable tax expert, which engendered a sense of good will with the aggressive IRS agent, and clearly led to his amazing deal for me. If you have a serious tax problem Harvey Bezozi is the one to go to! Harvey has been a close advisor of mine over the years. Our conversations are always intellectually stimulating and solution-oriented. His industry knowledge is vast, and I can rely on him to deliver results, irrespective of the request. As my CFO, Harvey has helped me tackle life-changing strategic business decisions with his “drama-free” approach that has allowed me to stay laser-focused in times of crisis. He has been a major asset as my tax advisor, assisting with my individual and business taxes while I work and live in multiple jurisdictions around the globe. I highly recommend Harvey aka the Tax Wizard! ‎I met Harvey fifteen years ago and he has been my trusted tax advisor and close friend ever since. When I initially approached Harvey, I had heard from others that he was a tax expert who was extremely experienced in helping taxpayers with IRS and State tax problems. I had recently relocated from Connecticut, and was significantly behind in filing and paying my federal and state taxes for close to ten years. Harvey urgently emphasized how important it was to get my delinquent tax returns filed immediately (in order to avoid any criminal exposure for failure to file), and he proceeded to get these tax returns prepared so I could file them. Over the years Harvey has helped me stay “squeaky clean” with my tax filings and payments. I can sleep soundly at night because of his excellent work and guidance. Have a question or want to learn more about Harvey's services? Fill out the form below and we will be in touch!